On Easter Sunday afternoon in the chapel in the village where I live here in Bacolod City I baptized a girl born in January. At the celebratory dinner later a boy of nine, whom I'll call 'Carlos', approached me with a big smile on his face and told me that he wanted to be like me - a priest. But he had something even more in mind - he wanted to be Pope! And he knows the name he will call himself - Pope John Paul III. 'Carlos' is too young to have any real personal memories of Blessed John Paul but he must have heard, read and seen quite a bit about him for that pope to have made such an impression on him. He goes to Blessed Carmel Sallés School, named after the foundress of the Missionary Sisters of the Immaculate Conception of Mary who run the school. She was canonized last October but there are 'hoops' to be gone through before the Conceptionist Sisters can change its name. Blessed John Paul wrote these words in his encyclical Laborem Exercens in 1981. The shepherds hurried away and found Mary and Joseph, and the baby lying in the manger. 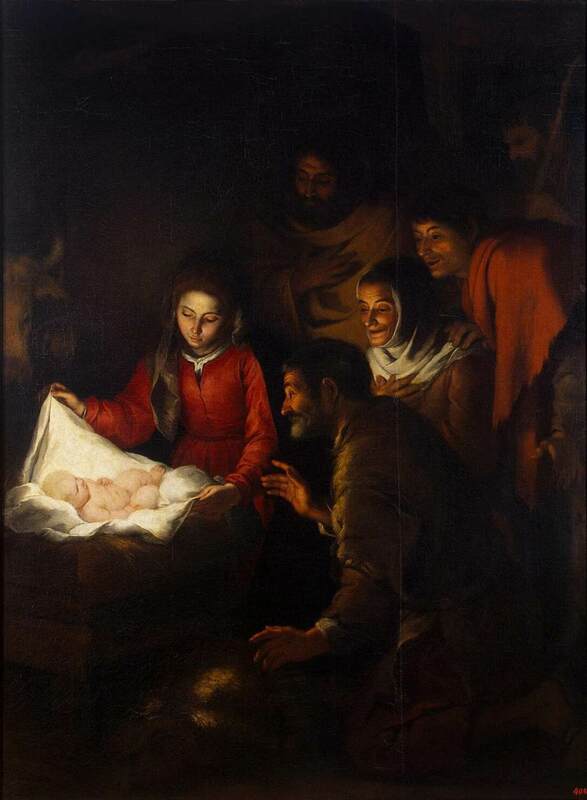 When they saw the child they repeated what they had been told about him, and everyone who heard it was astonished at what the shepherds had to say. As for Mary, she treasured all these things and pondered them in her heart. And the shepherds went back glorifying and praising God for all they had heard and seen; it was exactly as they had been told. One of the great contributions of the USA to popular culture is the Broadway/Hollywood musical.﻿ Among the masters at writing these were composer Richard Rodgers and lyricist Oscar Hammerstein II. Most of their works were produced first on stage and later made into movies. The exception was State Fair, a 1945 film for which they wrote the score. It Might as Well Be Spring, from that production, won the Oscar that year for best song. The man that hath no music in himself, Nor is not mov'd with concord of sweet sounds, Is fit for treasons, stratagems, and spoils. Thank you Padre Luis, a priest in Venezuela, for sharing this very moving video.